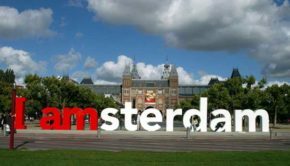 Planning a seven-day Europtrip might not be as difficult as some believe, especially with so many beautiful destinations and diverse ways of transportation. 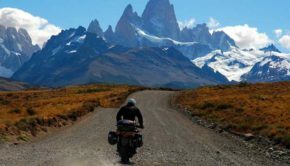 If you want to have an ultimate adventure and catch a glimpse of the best places in Europe, check out the following seven cities in seven days itinerary. 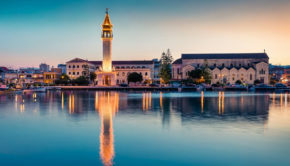 Eastern Europe is now on every traveller’s must-visit list, and Bucharest is undoubtedly a fantastic choice if you want to explore this part of the continent, as well as a great way to start a memorable Eurotrip. 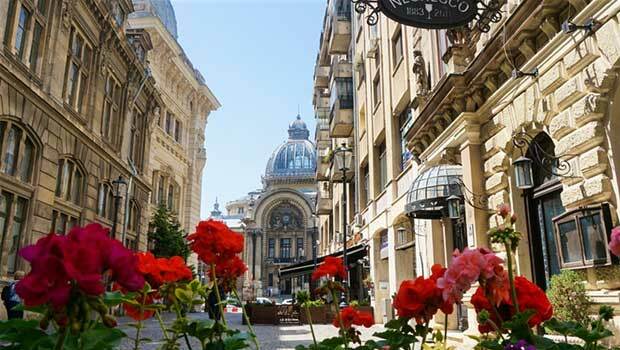 There are plenty of interesting things to do in Romania’s capital. Begin with visiting the House of Parliament, the second largest administrative building in the world. Then, get closer to the Romanian traditions while wandering around the open-air Village Museum, and enjoy a relaxing walk in Herastrau Park. Indulge in the delicious Romanian food at the famous Caru’ cu Bere Restaurant and party like there’s no tomorrow in the vibrating Old City Center. It will take you only one and a half hours to get from Bucharest to Vienna by plane, so you’ll start a new adventure in no time. And you can begin it in charming Stephansplatz. Admire the buzzing square, visit the imposing St. Stephan’s Cathedral, and climb its tower to admire a beautiful view of the city. 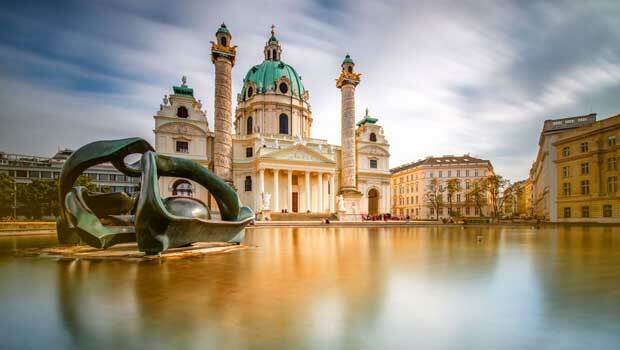 Then, get closer to the Viennese spirit while indulging a tasty coffee in one of the cosy cafes surrounding the square, before heading towards the famous Schönbrunn, to enjoy interesting stories about Princess Sissi’s life while admiring the mesmerising palace. If you still have time, have some wild fun in the Prater park and indulge in a giant schnitzel at Figlmüller Bäckerstrasse. You can easily travel from Vienna to Prague, by bus. It will take you around four hours and give you the chance to catch a glimpse of the beautiful places between the two capitals. Once you arrive, you can start exploring Prague on foot. The city is full of tourist attractions and walking will give you the chance to see most of the ones located in the central area. Catch a glimpse of the picturesque Old Town Square, see the famous Astronomical Clock, and cross the charming Charles Bridge, admiring its Gothic towers and Baroque-style statues. Visit Prague’s Castle and the Franz Kafka Museum, before relaxing in the lovely Letna Park, where you can watch the enchanting views of the River Vltava and its bridges. End your day with a tasty local beer and a traditional meal in one of Prague’s many inviting breweries. 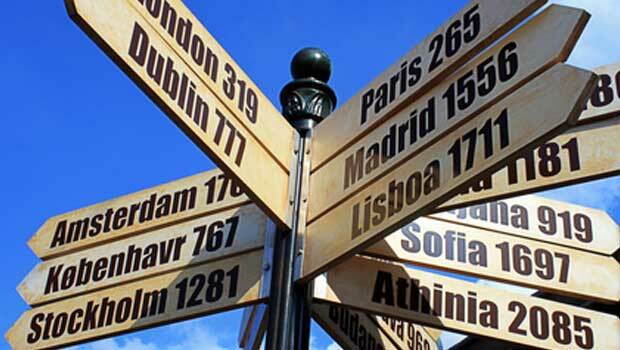 If you are at a loss to your precise daily itinerary, you can find a local company to help you out with the details. 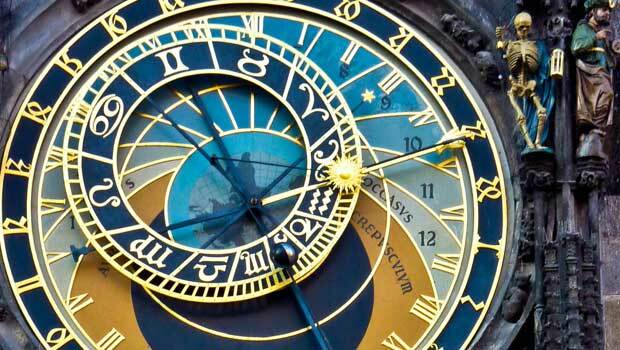 Catch a plane from Prague to Hamburg, and you will get to your new destination in about an hour. Begin your new adventure with a local goodie, a Franzbrötchen, the delicious sweet pastry everybody loves. Then, explore the beautifully arranged streets of the city centre, admiring the City Hall and the imposing St. Michael’s Church. Visit the colourful Portuguese quarter and the city’s hip neighbourhood, Sternschanze. Check out the famous model railway attraction, Miniatur Wunderland, and finish your Hamburg experience with a hearty meal and a local beer in one of the many bars located on its notorious Reeperbahn street. Your next stop is London, one of the most visited cities in the world. 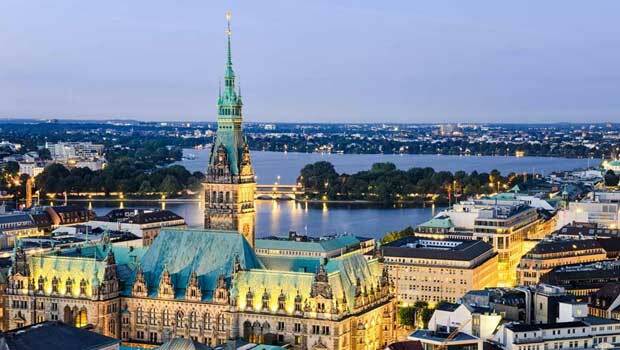 It will take you less than two hours to get from Hamburg to London and have a brand-new experience. 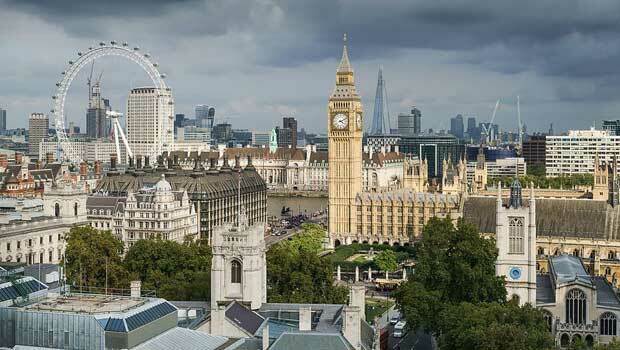 Begin your royal escape with the most famous attractions in the city: see the Buckingham Palace, Big Ben, and London’s Eye. Visit the National Gallery to delight your eyes with beautiful art, and then head towards St. Paul’s Cathedral. Check out the well-known Tower Bridge, and stop for a tasty portion of fish and chips in one of the many traditional pubs. In the evening, grab a few drinks in Camden Town or Shoreditch, two of London’s most popular neighbourhoods for night owls. There are only two hours from London to Barcelona. The beautiful capital of Catalonia is always waiting for visitors with kind weather, good food, and memorable cultural activities. 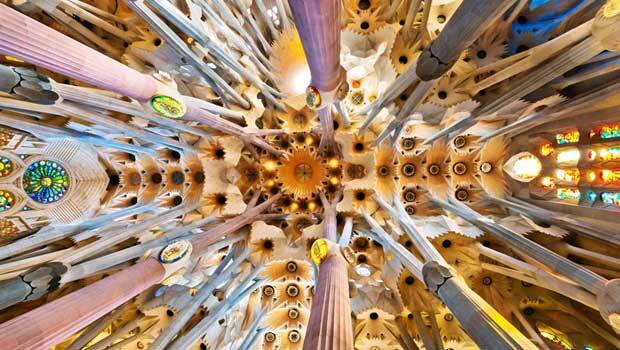 Explore the city by foot and admire Gaudi’s legacy, starting with its famous Sagrada Familia. Enjoy a walk on La Rambla and stop at La Boqueria Market for a bustling experience. Explore the stalls and grab some delicious jamon, cheese, fruits and a bottle of sparkling wine before heading towards Barceloneta, the city’s charming beach, to have a relaxing picnic. In the evening, enjoy a glass of Gin in one of the busy bars in vibrating Plaza Reial. 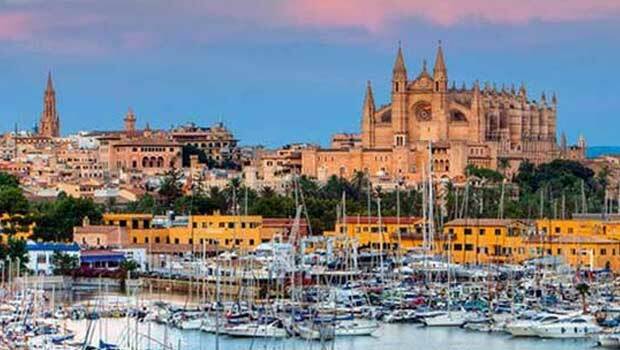 You can end your seven cities in seven days Eurotrip in Palma de Mallorca, a beautiful city located on one of Spain’s most visited islands, Mallorca. After a one-hour flight, you will arrive in an island paradise where you can relax on the beach while sipping tasty cocktails but also have an unforgettable cultural experience. Begin with strolling the streets of Palma and admiring its unique buildings and squares. Stop at the Palma Cathedral and take a few moments to visit this memorable attraction. In the evening, enjoy a delicious dinner and a few drinks at Es Baluard Restaurant & Lounge, the perfect place to celebrate the end of your Eurotrip.